Elfab, a UK-based manufacturer of pressure relief systems, reports sales have been growing in Kuwait and Bahrain and are set to increase significantly following the recent appointment of a sales agent for the two states. Business development director Russel Trotter said most sales during 2013-14 went to Qatar and the UAE but that there were also smaller consignments sent to Oman and Saudi Arabia. In a region comprising the GCC area and Iraq, Qatar accounted for 51 per cent of sales and the UAE 39 per cent. The Gulf contributes 5 per cent of all Elfab exports. 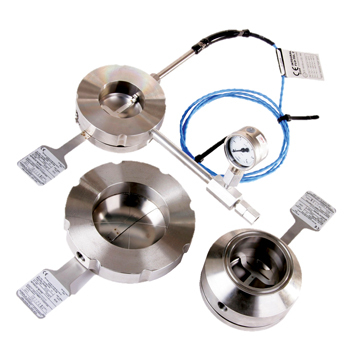 Elfab manufactures rupture discs, explosion vents and associated detection systems. Its intelligent pressure relief systems are designed to protect people, plant processes and the environment across the globe. The company delivers design, testing and consultancy services for pressure management. 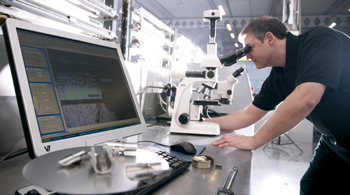 From its headquarters in North Shields, Elfab has 75 years’ experience working with blue-chip organissations and its customers are predominantly found in chemical, pharmaceutical, oil and gas and food processing industries. Its technology is also used in a wide range of OEM applications from launch systems in space rockets and air bags in cars to cryogenic systems in body scanners. “The key industry for Elfab products in the Gulf region is the oil and gas sector. Indeed, following a successful Adipec event in Abu Dhabi last year, Elfab has developed close links with local partners to enhance its sales into the Middle East. The appointment of a selection of strategic agents in one of the largest oil and gas producing regions worldwide has expanded Elfab’s global sales network, and supports the company’s overall growth strategy,” said Trotter. Agents now working in the GCC region on behalf of Elfab include Safe Technical Supply LLC in the UAE, Stratus General Trading in Oman and Al-Fozan in Kuwait and Bahrain. Its agents in neighbouring states include Al Shehab Electronics Co in Iran, Bernat Trading Co in Iraq and Inrep in Turkey. Across the Gulf as in the rest of the world, Elfab’s most popular product is its best-selling rupture disc, Opti-Gard. 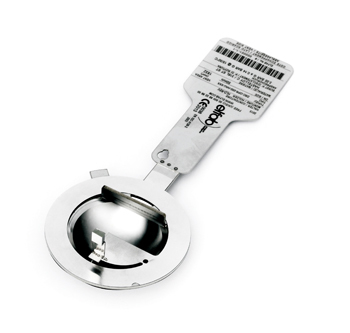 The product comprises a reverse-acting rupture disc, a single design holder suitable for a wide range of flange specifications and industry leading, non-invasive ATEX-approved burst detector integral Flo-Tel+. “For years, the industry standard was a 5 per cent tolerance product, tested to only 50-100,000 cycles. 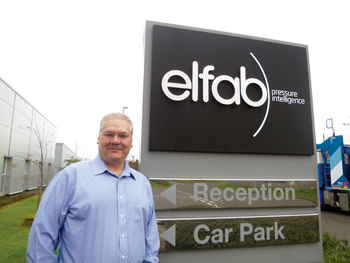 In direct response to increasingly stringent customer requirements, Elfab committed R&D resource to improving its product offering. Opti-Gard is now the only reverse-acting disc on the market to benefit from a 3 per cent tolerance and an improved 97 per cent operating ratio, tested to one million cycles – a service life over four times longer than previously achieved within the industry,” said Trotter. “The financial and operational benefits of this design to customers are extensive, including a reduction in stock holdings of up to 65 per cent. This product range made up nearly a fifth of all Elfab sales during the financial year 2013/14,” he said. Elfab receives enquiries from a variety of industries across the GCC region but considers the oil and gas sector as the key growth industry over the next few years, said the official. While Opti-Gard has gained much attention in the region, Elfab has other products that could be useful there. For instance, the integral Flo-Tel XD is the first Exd approved, non-invasive, fail safe detection system on the market. The system is said to provide an excellent solution for identifying when a rupture disc functions within arduous operating conditions. Elfab sees great potential for this product in the Gulf region. The original integral Flo-Tel+ system design was first developed to meet the needs of the chemical and pharmaceutical sectors, with the product specifications adhering to legislation requirements at the time. However, in response to a new customer request for technology suitable for their LNG and oil and gas process requirements, Flo-Tel XD was then developed. “A large LNG contractor had purchased the existing integral Flo-Tel+, as their site and process required reliable detection for safety and environmental purposes. However, the cost of installation, materials and labour made the original detection a costly investment. Elfab responded to this, and working closely with the customer developed the industry’s first Ex d-approved non-invasive rupture disc burst detection system, incorporating its original detection system into an industry-standard junction box design, with electrical terminal types that are suitable for most industry standard cables,” recalled Trotter. Elfab will be present at Adipec staged between November 10 and 13, where it will be displaying its latest products and offering expert advice on pressure relief. Elfab is also hosting an awareness seminar during the event on November 11.